A spot-on essay by the Poynter Institute’s Amy Gahran. Instead of commenting, just read it, then let’s stop whining and have a bit of fun in our business. I had a George Bailey moment this past weekend. That moment occurred during a reunion with a group of people whom I shared my life with during college and shortly thereafter. Some of these people I had not seen since my graduation some 30-ish years ago. It was an absolutely wonderful evening filled with talk about everything from college memories to families and current lives. This is a group that I started by adult life with. We had a great time back then. But then life gets in the way. We pursue our dreams and, in many cases, get consumed with trials and crises that make us forget just how much our lives touch others, and how much others touch ours. I hadn’t been the greatest of friends, losing track of and, in some cases, ignoring many friends in my quest to define myself and establish my professional career. Marriage and parenthood also get in the way. And although that becomes more of a change of priorities, it still pulls you farther away from the others who shared your past. It was a bittersweet moment that brought us together. One of our group … Brent Cramer, a bright, funny and very talented photographer … had unexpectedly died right before Christmas. As the news got to me, I grew angry at myself for continually pushing aside the idea of getting together at least one more time. There always seems to be some time down the road for that … you don’t ever expect the road to end so shortly. We toasted Brent, cursed him for leaving us so early, and thanked him for bringing the rest of us together one more time. It brought home the realization that true friendships are forged in iron and cannot be broken, no matter how long they are neglected. The road of life has been a long one, and I cannot express just how much I enjoyed this rest stop with some very true friends. So to Kenny, Barb, Diana, Bruce, Mary Ann, Christ, Athena, Jay, Tony, Ray, Steve and Vicky: Thank you for letting be a Shriner one more time, even though I have not always been there for the rest of you. Your friendships are one I will always cherish. The voice mail beep kicked in after that, so I could leave a message that, apparently, nobody will answer. And, as you notice from the message, there are no options to get out of voice mail during business hours to talk to a live person, or even another machine. I’ve been whining about newspapers cutting out and outsourcing its primary link with its customers, and fretting that it — more than changing readership — may become the death knell of the industry. But maybe it’s just endemic of the American economy. And look where that is right now. The Poynter Institute’s Jill Geisler had an interestimg discussion on her “Super Vision” blog last week with Hofstra University professor Bob Papper, who takes the bold step in suggestion your website should link to the enemy if you cannot get the story first. And though Papper’s comments were focused at broadcast news, his message is one we all can take notice. Yes, this is blasphemy in the highly competitive news business, but think of it a minute. In today’s information age, are we not blocking the message to our readers if they come to us and we don’t have the item they’re looking for? And isn’t customer service what we need to focus on to retain and grow readers? So maybe the Tribune wouldn’t want to link to the Sun-Times fro a breaking piece. That’s OK, because I’m sure the Trib would be dispatching a team of reporters and photojournalists to cover the same meeting. Yet, a newspaper like the Daily Herald has no problem linking to AP for stories it does not have the resources to cover. Yes, AP is a consortium that papers have a financial stake in. But should it be the only source of information for readers? In this changing world of news partnerships and consortium’s, why shouldn’t the online news world link to stories from other traditional and non-traditional media sources? If a reader to the Daily Herald’s website wants to get more about the Pope’s recent visit to the U.S., why aren’t they providing links to stories and coverage from the New York Times, or Washington Post, or the New World or Catholic News Service, or even the BBC? Are we afraid by doing so we’ll lose readers to them? Or are we telling our readers we’re bringing them what they are looking for, thereby making our brand stronger in the marketplace. News organizations on the web will evolve into something similar to Google news, only with a catch: They will define a turf and mine it intensively for news and information. And for information outside that turf, they will spider and filter out repetitive and extraneous finds (unlike Google and Yahoo, which will return multiple hits of the same AP story from numerous sources). True enemies will fight for turf control. Perceived enemies … those who do not pose an immediate threat to the turf … will need to become allies. They are not immediate threats, but they can exchange information that will add value to each other’s turf. It’s those alliances that will strengthen the brands. For online news, it’s time to define your turf and stick to doing what you do best within those boundaries. Then look to the enemy, define your immediate threats and work to ally with those you had perceived as enemies. They may become your best support in your personal turf war. Blogger Jeff Jarvis recently presented his vision for the future of news. What I love about it are his drawings that put what most of us have been saying into a nice, tidy visual. I almost wish I had access to them when I spoke to a college class at North Central College last week. It could have cut about 15 minutes from my diatribe. Jarvis’ thoughts are not unlike those of Gordon Crovitz, which I’ve discussed recently. But both stress that the media is no longer the center of the information process, but the public. Jarvis calls it the “press-sphere,” that the press now becomes part of an individual’s flow of information (known as the “me-sphere”). There are more and more visionaries out there that realize the media is not the sole … or even the main focus … source of information anymore. For traditional media to survive, they must be an active part of the exchange of information with the reader. A moderator of news, not a professor. Unfortunately, few of those visionaries sit in controlling positions of today’s newspapers. As an aside, I love Jarvis’ noteworthy British terminology, but I think the word “press-sphere” still put too much emphasis on “press,” which as you know I feel is too old world. Would “media-sphere” or “info-sphere” be a better term? Change of subject … is it time for a “24/7” president? Looking at the campaign and the folks who are still left standing, I for one am still scratching my head over who would make the best candidate, and frankly, I’m not thrilled by any of them. America need change, they say. America needs a true leader and patriot. 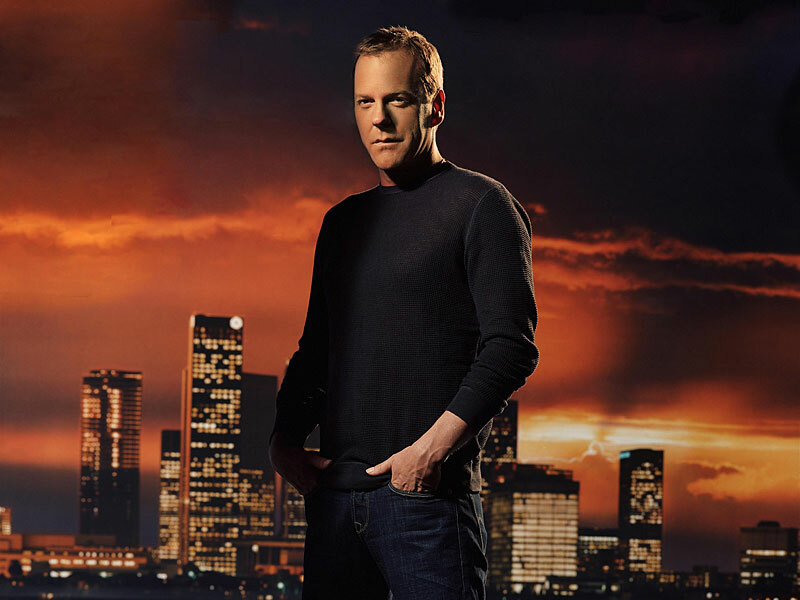 So I think it’s time to start a movement to draft Jack Bauer for president. Who is more of an American and patriot than Jack? How many times has he faced certain death in order to save the country? And, let’s face it, we know he’d be the only one awake at 3 a.m. when the phone at the White House rings. And, we also know, he’d be the only choice who would calmly say “I’m on it,” then get to work. So I say let’s start a “Back Jack” movement! He’s already got some good selections for his cabinet. Bill Buchanan would make a great vice president. How many times has he taken the flak for Jack and had his back, even in that horrendous Season 6? So what do you say? He’s served four presidents faithfully…isn’t it his time to lead us? Jack Bauer for president in 2008!